The Department of Early Learning (DEL), in partnership with the Office of Superintendent of Public Instruction (OSPI) and Thrive Washington, has published the Washington State Early Learning and Development Guidelines for children from birth through third grade. The guidelines replace the Early Learning and Development Benchmarks, which were first created in 2005 to outline what children know and are able to do at different stages of their development. The guidelines are built around the beliefs that a child’s physical and cognitive development reinforce each other. And so the Guidelines are broken up into age groups using six areas of development. Activities in any of these areas will enhance development in other areas, too. For example, exploring outdoors gives infants new sounds to hear, things to see, smells and motions. This helps #4, touching, seeing, hearing and moving around and #4, growing up healthy. 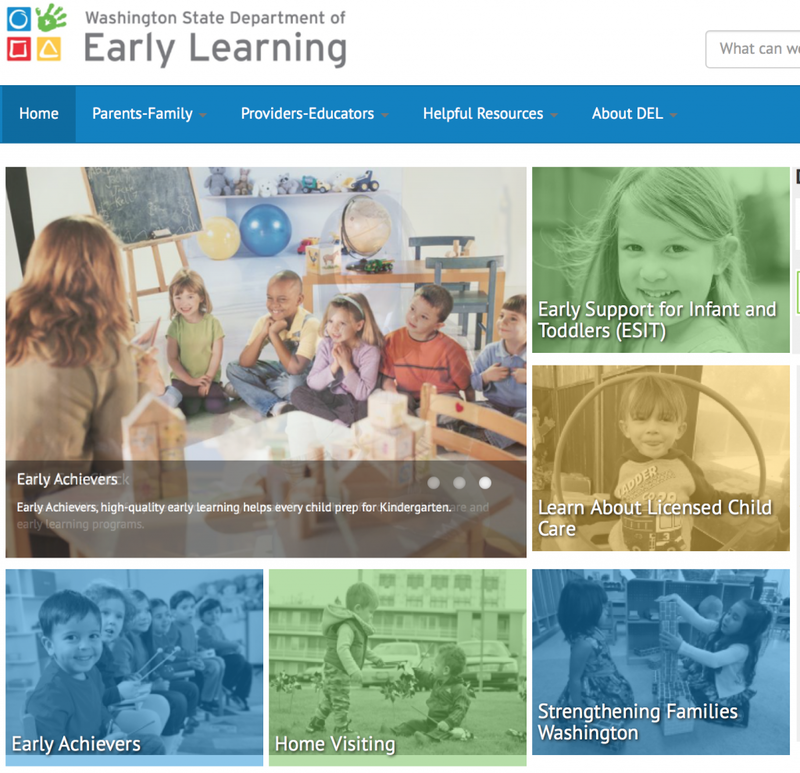 The Washington Department of Early Learning has a resources page, where you can download a PDF of the Washington Early Learning Guidelines, as well see reports on how the guidelines are being used by providers in various communities. For more information on the Washington State Early Learning and Development Guidelines or on early learning in Washington State, you can also visit the Early Achievers website, Washington’s QRIS program. Educa has worked with the University of Washington on scoring system act demonstrates how participants in the Early Achievers program can benefit from using Educa — read here. We have also interviewed Robin Lester, CEO of Child Care Aware of Washington on the Washington State Early Learning Guidelines and the Early Achievers program – read interview here.